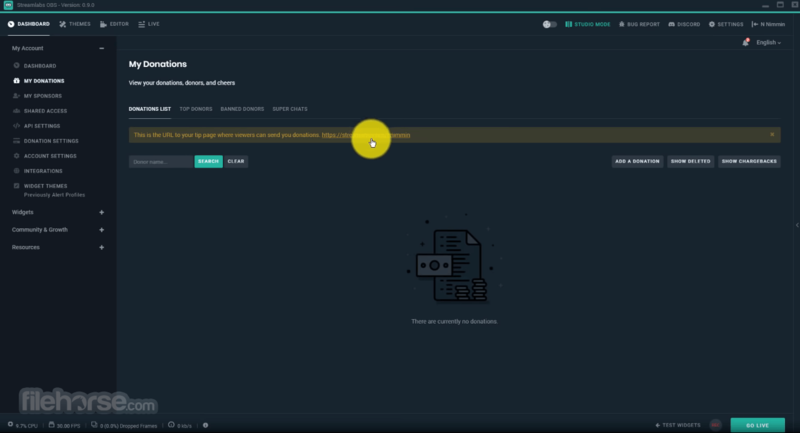 Streamlabs OBS is an easy to setup desktop streaming free program, built for professional streamers for Windows PC. Level up your stream with reliable, easy-to-setup PC desktop streaming software built for professional streamers. It allows you to view multiple windows like chat box, video editor, Stream labs OBS for PC dashboard etc in one place. This walkthrough will show you exactly what each window provides and how to utilize the window to improve your stream. The app will automatically take you to the editor window after the initial onboarding process, and when you first open the app. The editor window allows you to make changes to your scenes, sources, and mixer and you can see how the broadcast will look like in the video preview. 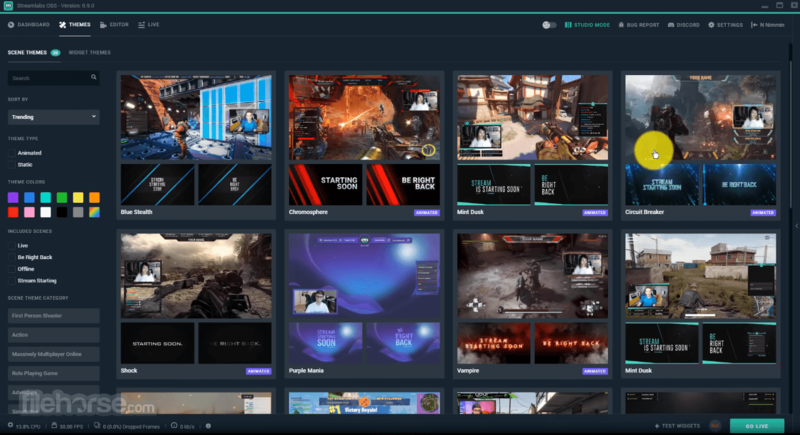 Thousands of streamers love Streamlabs OBS for Desktop. Now’s your turn! The dashboard window is extracted straight from the website. Once you log in through SLOBS, you will be automatically logged in on your dashboard. You can access everything on the window from widgets, alert profiles, donation settings, account settings and more. You can see the preview of the overlays in "library" and click on the themes to install them. These overlays (regular and animated) are FREE! Each art frames are adjustable and removable. You can further customize them in the editor window. Live Window (Recent Events) This window is your Recent Events window on the Streamlabs website. You can see the most recent stream events, redemptions, giveaways & polls, and the overlay extension music player in this window. You can pause, mute, and skip alerts whenever you want with the control buttons on the top right corner. Boost channel revenue by enabling users to trigger Snapchat style facemasks with their donations. Import everything from OBS with just one click and go live within a matter of seconds. Save 25% CPU and RAM by combining multiple windows like Streamlabels, Twitch Chat, Twitch Dashboard/Video, Dashboard, OBS etc into a live view. Reduce CPU usage by more than 20% while giving you the same video quality OR make your video look 2x better with the same CPU usage. It have optimized game specific x264 & Nvenc encoder settings. How much does Streamlabs cost? "Streamlabs for PC is free to use, we do not charge any fees and there is no monthly price. Please note that some services such as Paypal or Stripe charge their own fees that they collect separately. We do not charge you any additional fees on tips & donations." Which streaming platforms do you support? 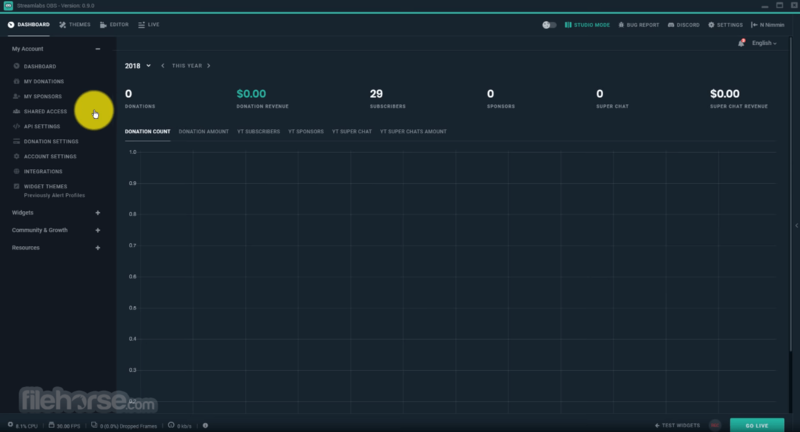 The Streamlabs OBS for Desktop platform now supports Twitch, YouTube, Mixer, and Facebook, with more coming soon including Hitbox. When a tip is made to a broadcaster, the money is processed directly through the payment option from the donor to the receiver. The funds never actually touch on end, so if you have issues with receiving funds or chargebacks you will need to contact the payment processor directly. I don't stream with a computer, can I use on my console? 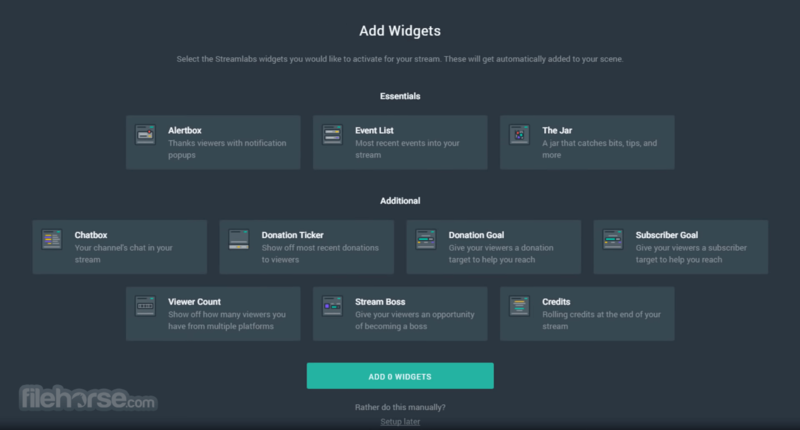 While you can use still use Streamlabs 2019 latest version to raise money from your viewers, it is not currently possible to embed widgets directly into your console. To fully take advantage of the platform, you will need to stream through a computer using popular streaming software. Make sure all drivers are up-to-date and are matching 64-bit versions of your system. Almost every source you use, uses CPU to be functioning properly. The more you have the higher the total CPU usage would be. Downloaded animated overlays can cause high CPU usage due to the webm video files used as overlays. Using many different browser sources can cause high CPU usage, try limiting them or create references.